When I saw pictures and videos of SS501 crying during their June 13 fanmeet, I was touched. I teared up when I listened to the boys' messages to each other and to the fans. I won't even attempt to dig deeper than what they actually said. I just want to take away one thing from their message: "Believe and trust in SS501!" And I do. I do believe in them and I do trust them. I will always trust them. Just like what Leader said. He said that there are rumors and hurtful things that have been said, but he assured us all NOT TO WORRY from now on. So I will trust him and not worry anymore. Instead, I will continue supporting them, cheering for them and loving them. How about you Triple S? Hyung-joon: I believe it (number of fans) will decrease naturally. You know, I just feel like it will decrease over the time. But there are times when I become sad. Young-saeng: I feel like this is an album that we feel as if we owe an apology to our fans. It’s not because that our songs are not good enough or anything like that, but just because we weren’t able to keep our promise with fans. As you all know, we haven’t been able to release our second formal album yet. We have released our first formal album but not the second one…that’s why we are very sorry to our fans and we want to say thank you to those who are waiting. Jung-min: You can just regard us as SS501 ourselves. People who are not perfect but always doing our best and trying hard. I think a lot of fans who support us think that we are giving them something to fill in their life but honestly, we think that we are the ones who are getting something from our fans. So if you think about it, we are like having an unrequited love for one another. Or should I say like having a heart ache? time or on the other hand it is not much big deal of time. But one thing for sure is that there are more times (with fans) ahead of us. We realize that many fans are supporting us right now. And even if some may change their heart or all of you get married and cannot keep supporting us all the way, we will still sing for those who support us in their mind. say…gosh…why do I feel like crying? From Hyun-joong to Jung-min ->I have known you for 7 years now which means that I have known you for 1/3 of my life and I want to thank you for always trying hard. I want to say to our fans that you can always trust us no matter what we do. I ask all our fans a continuous support and a long trust of SS501 and we will always have Jung-min by our side, who is the anchor of SS501. From Kyu-jong to Hyun-joong -> That’s right. Just like what Hyun-joong said, we have been spending such a long time together during our teen age years and into twenties now, and we may even spent more times together than our own parents. We are a big help to each other. We try not to let each other know of difficult or tough times that we each are having but I hope that we wouldn’t do this anymore as we are now old enough to understand it all now. Not long ago, Hyun-joong had a slight mishap and from that accident, his body condition was not much great. But just like we know Hyun-joong, he did recovered fast and his perfectly fine now. I hope he will take care more of himself. Please look forward to what Hyun-joong is going to bring in the near future through dramas, movies and music. I always say thank you which is the only word I can express to all of you. I am sorry that this is the only word that I can say but I promise to you that I will do my best that can make up this word. I will let Hyung-joon talk now. From Hyung-joon to Kyu-jong -> My heart bleeds that tender-hearted Kyu-jong speaks about that. We have not brought this occasion today to tell our fans that we have already spent 5 years of our life as singers and we are ready to quit. Because we never will, aren’t we? I just want to tell all of our fans that each of us have been actively involved in individual’s activity and now that we have just released an album, LOVE YA, we want it to be a success which I believe it is, right? SS501 is not going anywhere so please everyone, stay by our side and give us your continuous support. Kyu-jong is a guy with a lot of emotions and tears. I thought that I was the one with more emotions but I think Kyu-jong is more a thoughtful guy who sometimes cries alone at home. And therefore, my heart tends to ache when I think of him. So…He is very good friend just like a brother to me. I hope that everything we do in the future will be a success. And…I am sorry that I cannot suppress my tears today. I’m sorry that I tend to always cry at this kind of occasion. Anyways, I love all of my members. So, I want to say thank you to Kyu-jong, I mean not only to Kyu-jong but to Jung-min, Young-saeng and Hyun-joong as well. I’m sure that our tears that we shed today will be our memories that will be recollected 5 years, 10 years or 50 years from now. Please be especially supportive to Kyu-jong because I’m sure that I could have not done well without him. He’s my good friend who I can talk to when I’m in a midst of having difficult times. He’s like a brother and a family. I hope that all of you (fans) will be here for us and I want to say that I truly love all of my members. Thank you. From Young-saeng to Hyung-joon -> I ought to be little shy when I have to say things by myself. All of a sudden, this thought came across my mind while listening to other members talk. Five of us were always together for all this time but I don’t think we’ve actually had a time to realize an importance of each other. Hyun-joong: I just want to say again to all our fans that we all shed our tears today not because it’s a sad day but because it’s a day for a new take off. Therefore I want everyone to be happy and smiling. It’s a new beginning for us and I know that all of you will be concern and worry about any false rumors or abusive comments that we might get in the future. But don’t worry and just trust us, because we are SS501. From Jung-min to Young-saeng -> What should I say? First of all, I always feel thankful to Young-saeng…Um…first of all, I have the strongest personality and therefore…So……I don’t think I can do it. I will do it later. I think that will be better. Anyways, I hope all of you can give us your continuous support. Um…When we have next SS501 concert, I hope many of you can be there. Kyu-jong: Yes, it has been five years already that we and ‘wandu-kong’ have been together. Five years is like a long time or in some way a short time but to me, it feels short. Until the time when I look back today and say, ‘that five years was nothing’, we will try harder and become a better group to all of our fans. Until the day we become ‘the greatest in the world’, we will continue to run forward so don’t you ever cheat on us. You can still have boyfriends though. (Means that the fans can still have boyfriends but don’t become fans of other singers) Thank you so much for this occasion and it was very valuable time for five of us. It was a joyful and happier time than any other concert we had. I guess if I say it all, other members wouldn’t have anything to say. (Hyung-joon: No, we’re okay / Hyun-joong: that’s okay~) That will be all from me and I will write more in web site. Jung-min: Um…first of all, I’m sure that there are fans out there who couldn’t make it today. So thank you all of you who made it here because you have been a big energy to us. I hope that today could be a good day to remember to all of you and will be a driving force to be with us continuously. We SS501, especially I have been experiencing tough times until right before this occasion today, but I now believe that I can work everything out from now on. So please keep supporting us and provide us with a bigger power which already is a big help to SS501. Anyways, please keep supporting SS501. Hyun-joong: Thank you all of you who came to cheer us up today and I just want to say that I love you all. 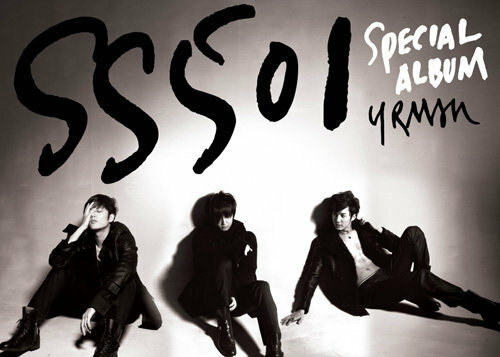 We SS501…especially myself is not an easy man. But I love you all and please give us your continuous support and love. And we will try harder for that love. Thank you. Hyung-joon: Thank you very much and all five of us coming this far is truly a dream come true for me. But still, there are a lot of things to do…we have been singing for five years and we have released only one formal album. That does not make sense isn’t it? Although it may take some time, we will be releasing a great album so Say Ho~~ that’s right. Please stay by our side so we can all be together for 10 years, 20 years or 30 years from now. Thank you! Young-saeng: Yes, please keep faith in us. Thank you and I love you all. It’s been a long day, hasn’t it? So that’s it from me~ But I’m sure that we all made a memorable day that no one can forget. Thank you so much and there is this word we write every time we have an autograph event. That is ‘thank you always’. Yes, thank you always and I love you all. Hyun-joong: Yes, we will sing a song for you guys. Our comeback song, LOVE YA. Thank you for being here today although it was a short event. We will try to make it more impressive and longer next time. I’m sorry and thank you. Hyung-joon: It’s our number one chart song, right? Let’s LOVE YA!